They do only Wagyu (or whatever the American version is called) beef, and they do it with the pharmaceutical cleanliness you might imagine a Japanese butcher would practice. Initially selection was small and the beef couldn't really compete with good dry aged USDA prime, but they've been gradually expanding and they've now finished the first round of 30 dry aging. Since it's experimental, they're selling the dry aged steak at the same price as they do the non-aged. They also have weekly specials such as custom ground beef for, I think, $4.99/lb. We have a fabulous looking tongue (that they managed to peel uncooked ) curing in the fridge. The selection keeps expanding - they have Berkshire pork belly, some fish roes, and a wide selection of beef cuts (and what's not in stock is available by special order, although their phone line might be busy with people trying to break into Bohemian). We got a piece of short rib "for grilling", which due to the torrential rain turned into short rib for the cast iron skillet. Let me tell you - at $24/lb or so, this was a pretty amazing piece of beef (maybe readers who are happy to pay $$$s for a tiny piece of wagyu beef at Per Se should try it). Their dry aged offerings continue to look suspicious - there was a piece of strip in their fridge that seemed far gone, and some cowboy steaks that were on the way there. Meat wise? 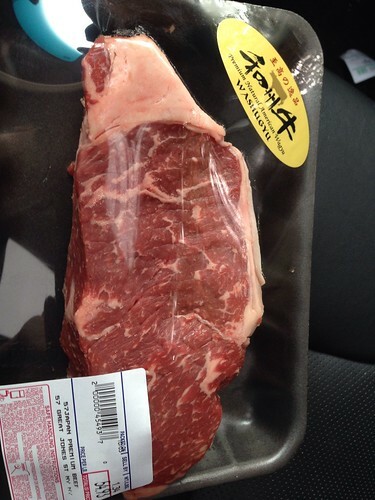 I bought some thin sliced rib eye there maybe a month ago. It was delicious. The aged stuff in the case tho was mighty similar to what orik saw. They have some very, very, very, good strips right now, the best meat I ever got there. So, I was all excited for dry age last night. I walked in an unfortunately, you now have to pre-order or just catch them on the right day. 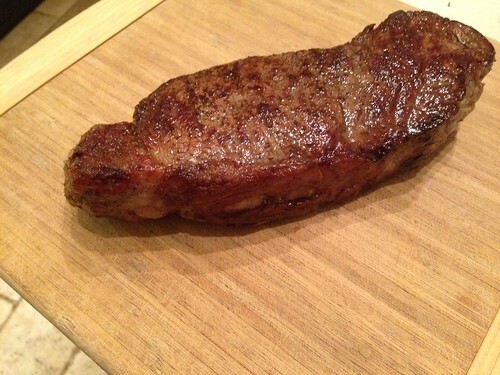 I got a really beautiful piece of beef, ny strip, boneless, for $40 dollars a pound. The cut was 1.35 lbs or like 55 dollars. Cooked on the range, finished in the oven until it hit 130. Slightly more done than usual but, the marbling was so pronounced. Let it rest for 15 minutes.. Most of the juice occurred before I even cut into it. 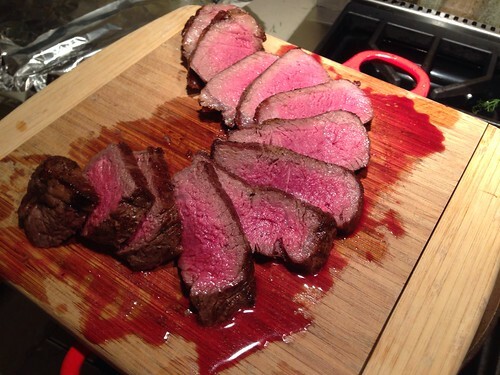 This was my third steak i cooked in about a 3 week period.. All from high end butchers. .This was the best so far. What/who were the other two butchers? Della Pietra's on Atlantic and well, not fancy but, the nicest steak they had at Paisanos. Has anyone bought fish from them yet? I'm tempted by some of the "cheaper" offerings. Fish at Japan Premium Beef. I didn't see any available yesterday. They did have salami, bacon and pancetta which i have never seen before. they have some braesola that's pretty good too. Some lovely hanging tender for the fam over the weekend. Can't overstate the unintentional comedy of rich NYers refusing to ask for advice and ending up buying utterly preposterous things. The FB feed has been saying they'll reopen elsewhere, but that hasn't happened yet. Reopened last week one door down.